My time on Pinterest has been put to good use. I have discovered and created all kinds of new ways to teach my students. Today's lesson focuses on how to make reading experiences more enjoyable for students by offering them a choice of how they will respond to the literature. I call it a Literature Choice Board (but have also heard this style referred to as Literary Bingo). These 8 ideas above allow students to use their multiple intelligences to share their understanding of the text. In my experience, students LOVE having a choice, even if they end up picking a task they previously claimed they hated. ON THEIR OWN - Once the students understand how to do each item on the board, have them pick which one they would like to do for the next reading assignment. It's important to make them pick in advance so they plan accordingly. When I first started, I had students show up the day the assignment was due and decide to take the quiz. It turned out they hadn't read the material and failed the quiz; they would have been better off taking it as a "Late" assignment. TIP: have students fill out an exit slip on which each student writes their choice or have a clipboard with their names where they can list their choice. The final idea should only be used after students have had a few reading experiences with this method. Once they understand how it works, students should be encouraged to propose their own idea to the teacher! This helps the students to develop creativitity in their responses to the text while still ensuring that each student meets the teacher's approval for assignment completion. GRADING - As far as grading goes, I see these reading responses as a form of practice. 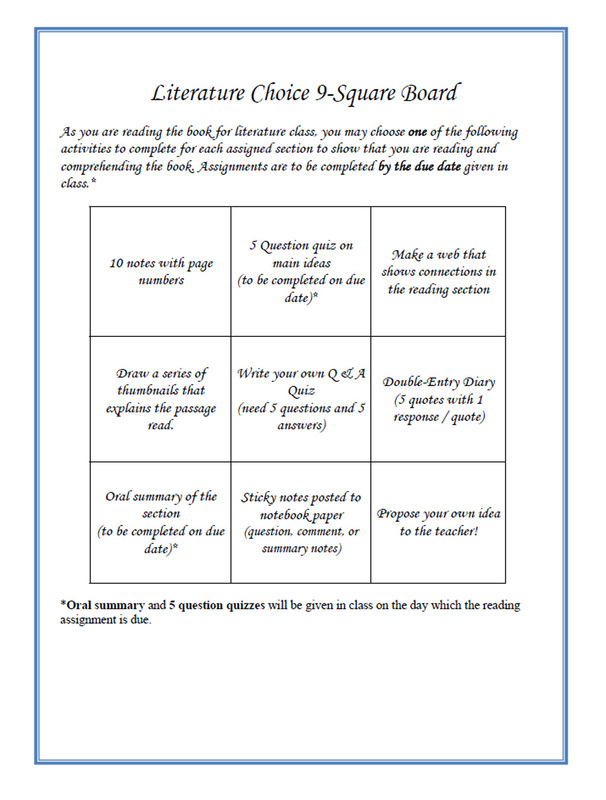 If the students choose to take the 5-question quiz, they will get the score earned out of 5 points possible. For all other tasks (which generally require more work), they earn their points by following the directions and including relevant information. If their assignment is late or incomplete, they earn fewer points overall (example: 1 day late = 80% of original points). Hope you find this helpful! 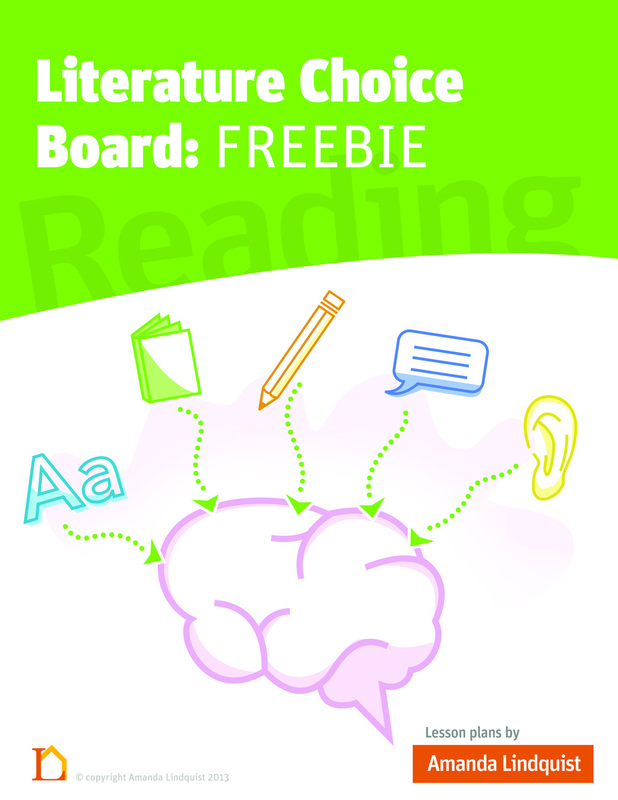 Check out my TpT Store for the FREE download: Literature Choice Board (aka Literary Bingo).